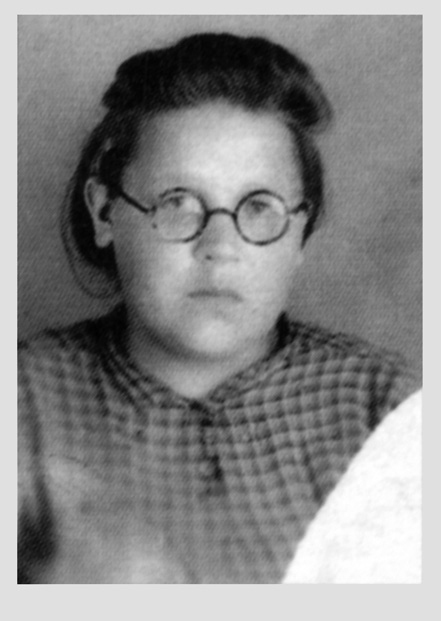 Photographs from Lena Mukhina's life. 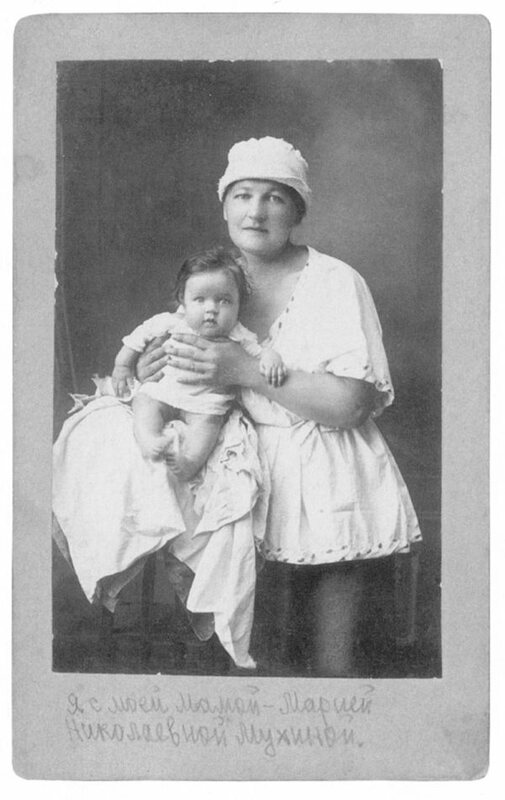 maria nikolaevna mukhina and her baby daughter lena. 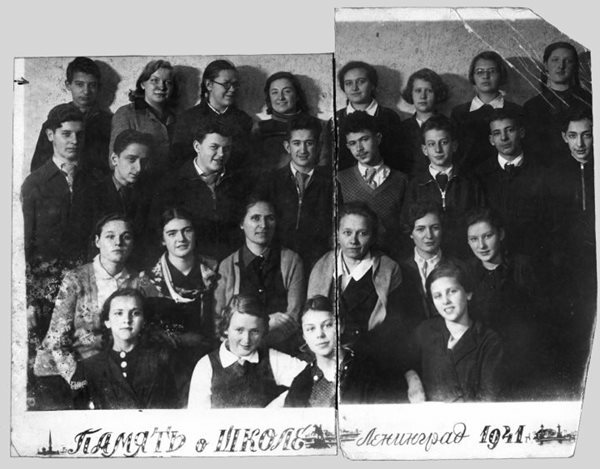 lena mukhina's class photograph in june 1941. lena is third from the left in the back row. her sweetheart, volodya, is second from right in the third row. 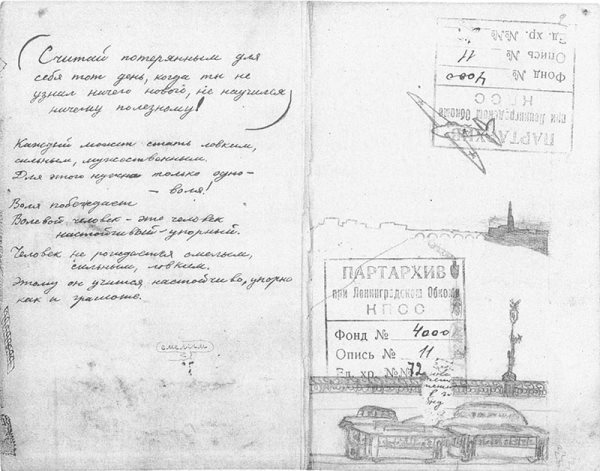 the opening pages of lena's diary.